This was a week-long trip broken into 4 parts. Our first stay was at Lisbon Hideaway in Graskop. It’s a trio of stilted cabins overlooking a stream with a field in the distance. As we arrived during the dark of night, I can’t imagine a more perfect place to wake up to South Africa. During Part II we stayed at Africa On Foot (seen above). It’s an unfenced camp located in the middle of a private game reserve. It is also incredible. It’s eco-friendly, offers home cooked meals and completely worth the money. I can’t speak enough about this place. I’d go back in a second. 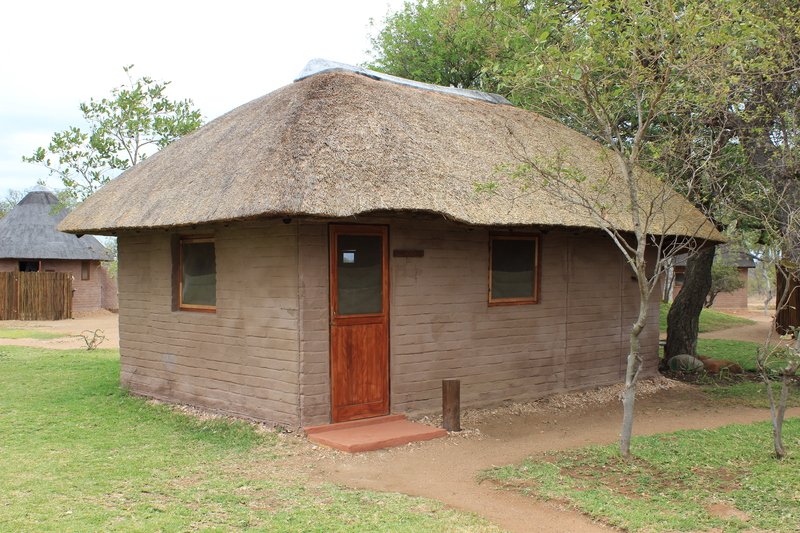 Part III was in Kruger itself, split between three of their wonderful restcamps; Olifants, Orpen and Skukuza. Each camp offers a simple room with ensuite bathroom, porch and full outdoor kitchen. They were perfect for what we needed. 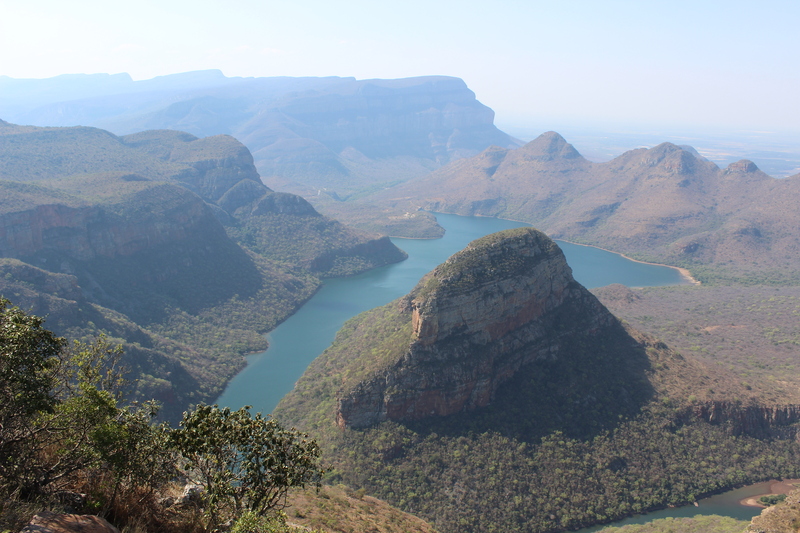 Olifants offered a fantastic view, Orpen offered a feeling of seclusion and Skukuza offered the most amenities. You’re not going to go wrong picking a restcamp. We finished our trip by staying at Del Roza Guesthouse in Middleburg; an absolute diamond in the rough. This walled off oasis is smack-dab in the middle of an atrocious industrial town, and I’d spend every weekend there if I could. Like its most famous natural inhabitants, South Africa is carnivorous. Pork, beef, chicken and game are abundant and cheap. Every accommodation we stayed at had a braai (read; grill) as this is the main method for cooking anything in SA. We were more than happy to oblige. We mainly grilled proteins and vegetables with few exceptions. 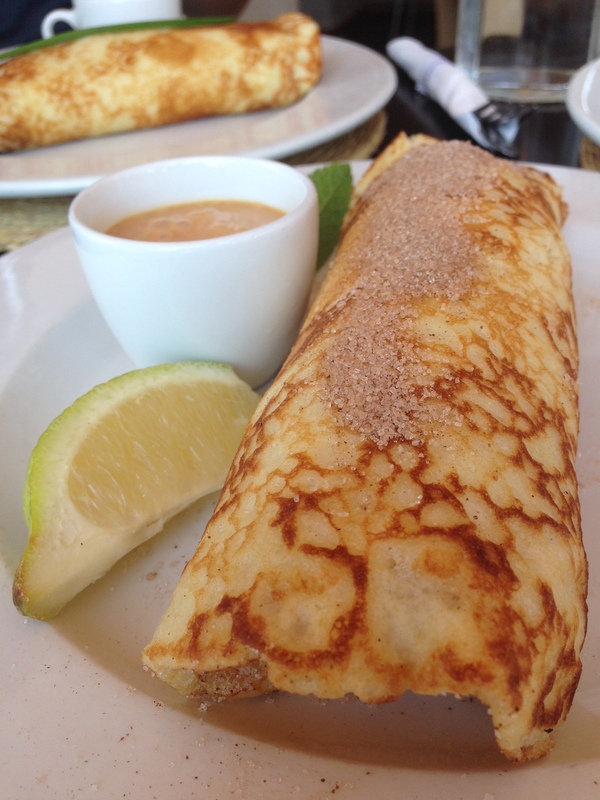 We were also introduced to Pannekoek at Harry’s and grilled chicken at Nandos. Wow. We ate like kings and drank like sailors. We tried a few local treats like biltong and amarula (though not together). – Saw some National Geographic-level scenery on the Panorama Route. – Went on multiple safari’s in an open-air truck. – Drove a manual transmission automobile on the wrong side of the road. – Watched (and photographed) two lions getting it on in a dried out riverbed. – Witnessed an absurd amount of wildlife that we’ve only ever seen in zoos. – Almost got into a fight with a water buffalo. – Sat with our mouths open as a herd of elephants passed by our tiny car. – Visited Ellis Park, arguably the most famous rugby stadium in the world. – Many other things I probably forgot but were equally awesome. * Vodacom offers cheap data plans for your smartphone. 3g is iffy in the park, unless you’re near a restcamp. Wifi is virtually nonexistent. * Pack a flashlight and go on a “night-shine” in the restcamp. Walk along the fence and flash your light into the trees and outside the fence. Decide how badly you want to know what belongs to the eyes reflecting back at you. * You can fly into Johannesburg and rent a car or fly into several closer airports and rent a car. Weigh carefully your options. You miss NOTHING on the drive from Jo-burg to Kruger that you can’t get from flying into a closer airport. It all depends on if the increased ticket price is worth it for you. I can tell you this; it’s worth thinking about. WOW! These pictures are unbelievable. I can’t wait to show my granddaughter’s these pictures… I will move quickly over the lions! So amazing to elephants walking down the street! Sounds like you had an amazing trip! We certainly did, Linda. Thanks for the kind words!